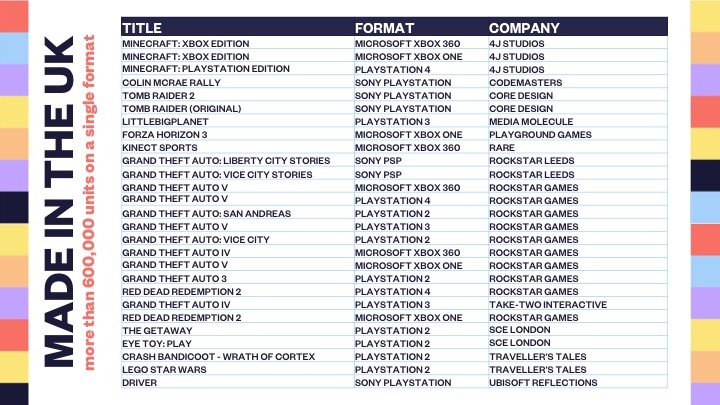 In addition to the million sellers club, UKIE and GfK also called out UK-made games that have sold over 600,000 boxed copies in the UK. This includes the likes of Colin McRae Rally, Kinect Sports, Forza Horizon 3, LittleBigPlanet, Tomb Raider, The Getaway and more. Full list is below. 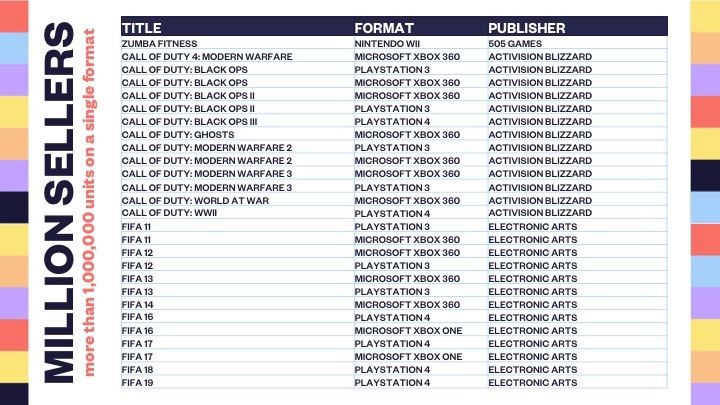 The data is courtesy of data specialist GfK, which has been tracking the UK boxed games market for 20 years and also boasts a range of historical data. The awards event and reveal is part of UKIE's 30 Years of Play campaign, which is designed to celebrate the trade body's 30 years in existence. The recent popular hashtag of #myfirstgamesjob, has also been part of the same campaign. The special awards event was held at Coutts in London, and was attended by executives from Microsoft, Nintendo, Activision, Sega, Ubisoft and more. 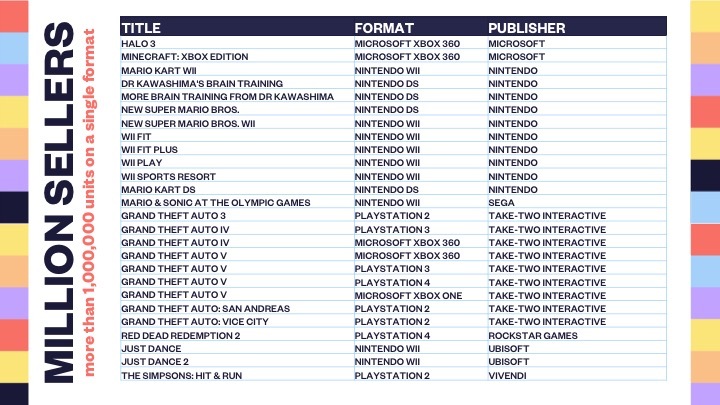 Also revealed as part of the event were the Top 40 UK game developers by UK boxed game sales from the last 25 years. GamesIndustry.biz was given a full detailed run down of that list and you can check it out right here.